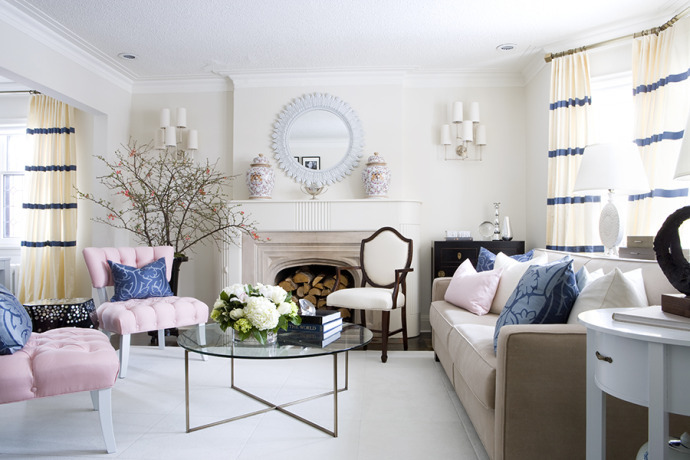 What a beautiful living room by decorator Samantha Pynn. 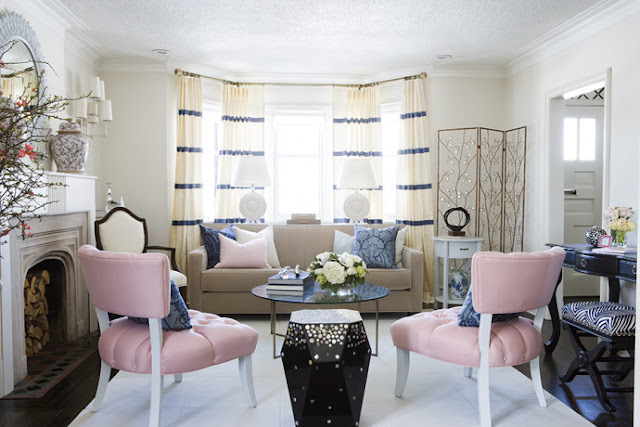 A little bit of light pink and blue gives the calm en light interior a fresh uplift. 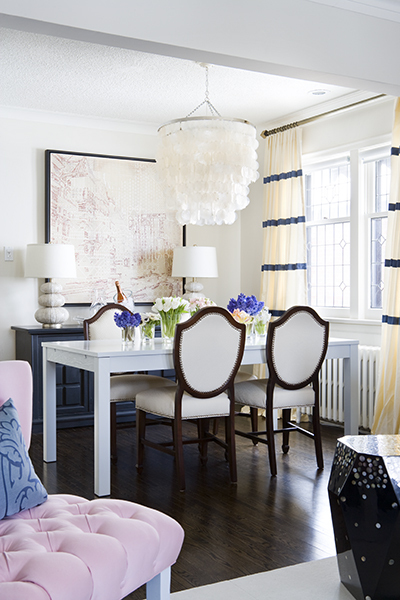 I really like the modern and classical combinations. Beautiful!!! Most of the light decors are very colorful and artistically designed, so they will make very attractive your house.